visible or invisible spectral range – this technology can open up new possibilities for three dimensional perception, even under difficult conditions. greatly accelerate the image processing. 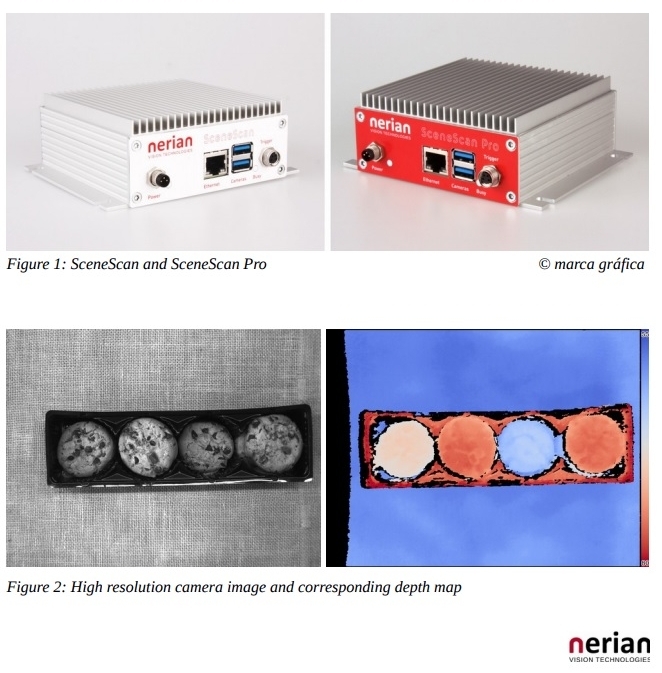 SceneScan and SceneScan Pro. Real eye-catchers in a double sense: stereo vision in an elegant design! applications with lower requirements. The customer can thus optimize his embedded vision solution both in terms of costs and technology. USB3Vision cameras by other manufacturers are also supported.